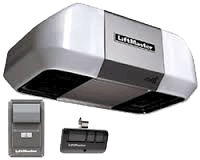 We install and repair the best available garage door openers on the market... Liftmaster®! 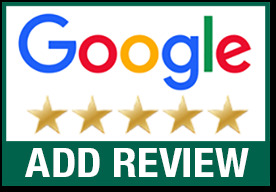 If you need an opener installed or a garage door opener repaired in The Greater Boston Metro Area, give Precision a call today. 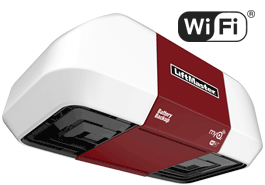 Which Garage Door Opener Is Best For You...? Chain Driven Openers- Chain drives are typically the most commonly used and most reliable type of opener. This drive runs the garage door on its track by using a metal chain. Chain drives are typically the least expensive type of opener. They also tend to be the noisiest type of opener, so if your garage is located below or adjacent to the main rooms in your home, you might not want this opener. However, if your garage is detached or the noise does not bother you, this is the best choice for you and your family. Belt Driven Openers- Belt drives are regarded in the garage door industry as the best type of opener. Not only are belt drives as reliable as chain drives, but they are also virtually silent. This drive runs on a rubber belt and is typically more expensive than chain drive openers. If your garage is attached to your home and has surrounding bedrooms, you'll never be bothered by the noise of your garage door. Screw Driven Openers- Screw drive openers use a lifting device that runs on a threaded steel rod, rather than a chain or a rubber belt. These openers tend to work best in locations where the weather and temperature is constant throughout the year. In areas with a wide range of temperature throughout the year, a screw drive opener is not recommended. They also are the slowest moving and noisiest of all three openers, but are the least expensive. Confidently know what’s going on at home. MyQ® Technology connects with your smartphone to monitor and control your garage door and turn on or off your home lighting (when paired with the LiftMaster Internet Gateway). Lifetime motor and belt, one-year parts warranty. 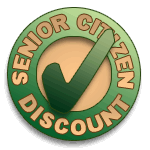 Lifetime motor, one-year parts and one-year Battery Backup warranties. Lifetime motor and belt, five-year parts and one-year Battery Backup warranties. Optional 12 Volt DC Battery Back-Up (which means you're not locked out or in, when the power goes out). Lock down the garage door and electronically monitor against a forced opening with PosiLock®. Always know your garage door is closed with Timer-to-Close, which automatically close the door after a preprogrammed number of minutes. Lifetime coverage of motor and 5 years on parts. 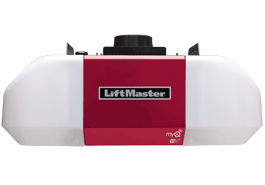 The Liftmaster Model 3800 Jackshaft Opener offers an ultra-quiet, space-saving, wall-mounted design. Specially designed for garages and unique applications that don't allow for a traditional garage door opener, such as garages with very low, cathedral or obstructed ceilings. Easily program additional remotes, keypads and/or keyless entry. Auto-force technology monitors garage door system and adjusts forces to temperature fluctuations, floor height and door track movement. 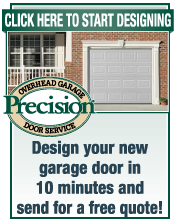 Do not hesitate to call us today to learn more about garage door openers.